Knightsbridge Watches delighted to offer one of the most sought-after Breguet watches, Breguet Classique Grande Complication Tourbillon 1808, to our watch enthusiasts. The watch is in immaculate condition and comes with box and papers. 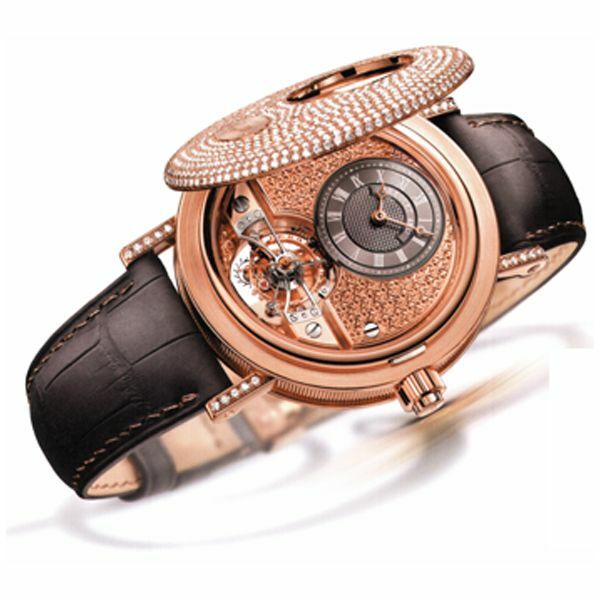 Classique “Grande Complication” wristwatch in 18-carat rose gold, with tourbillon. 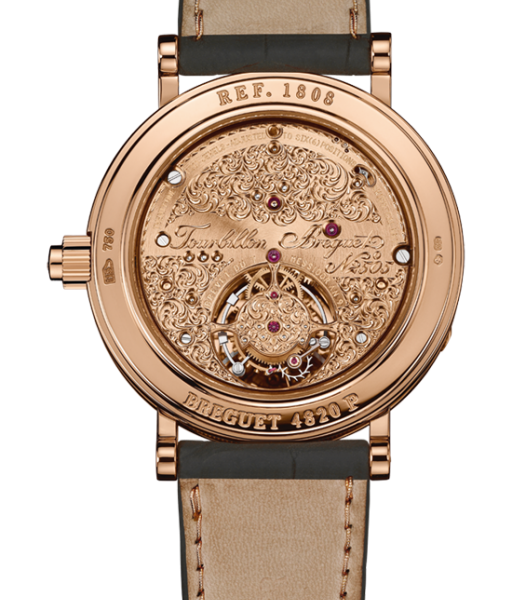 Hand-wound movement, engraved by hand. Small seconds on the tourbillon shaft. Compensating balance spring with Breguet overcoil. Black rhodium gold dial, hand engraved on a rose engine. 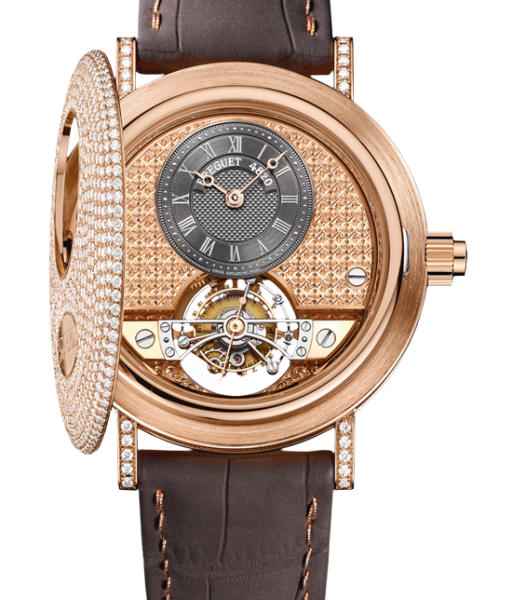 Gold cover, inscribed “Tourbillon” and set with 706 diamonds, approx. 4.70 cts. Sapphire case back. Water-resistant to 3 bar (30 m). Diameter: 40.50 mm.